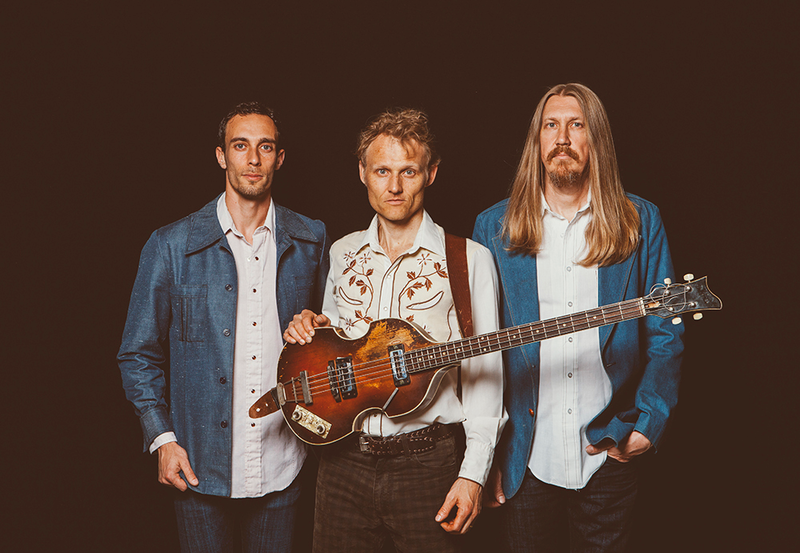 Americana/Folk trio and multi instrumentalists The Wood Brothers recently toured the UK to promote their current album One Drop of Truth which is quite simply an exceptional album. The highly talented trio not only embarked on a few headline shows in the UK but were also part of the inaugural Long Road Festival in Leicestershire and came away as a highlight for many of the festival goers, myself included. 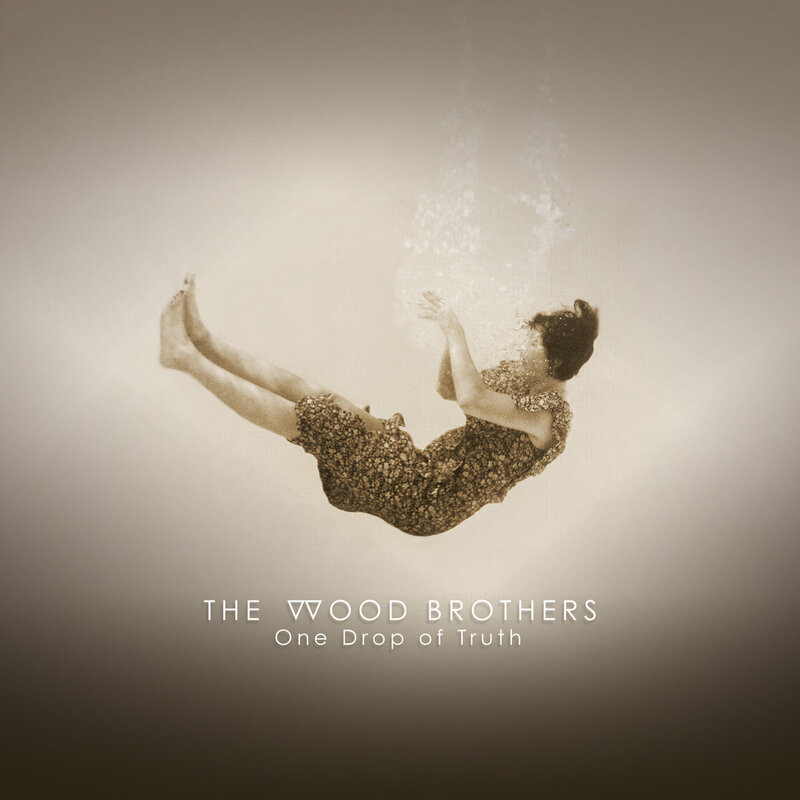 The Wood Brothers consist of Oliver and Chris Wood and multi instrumentalist Jano Rix. We caught up with The Wood Brothers during The Long Road Festival to discuss the UK, being independent musicians and more. I really enjoyed the company of The Wood Brothers as well as their music and highly recommend checking them out. Hi guys how are you? How has your trip been so far? Oliver – It has been great. How was London Bush Hall? My colleague gave you a five star review. Oliver – Oh five starts thanks so much. London was great, the crowd were wonderful. We played a blinder. Oh is that like a good un’? Depending on where you are in the UK we can say things like Splendid, Good show, Bloody brilliant. Have you played the UK before? Oliver – Not much! Years ago we played a little bit but this is our first real shows in the UK. You recently released One Drop Of Truth in the UK – tell us about that? Oliver – This is our sixth album. We started out on a label and our first several albums were via a record label and had a typical recording process of writing songs and getting a budget from the label, having a producer and so on. We did that for years. This latest album we were completely independent, we had our own label, we produced it ourselves and took our time with it. We recorded songs as we wrote them and we just enjoyed the process so much more being independent and not beholding to anyone for finances or creativity at all. We kind of got in our own creative bubble and we made our music the way we wanted to do it. Yes and we live in a world now where independent isn’t a bad thing as we have the ability to share music via the internet etc. And that way, as you say, make the music you want to without being told what to make. Oliver – It is better – a lot of times when you are starting out you need a label as they give you money and stuff like that so I think we are lucky that we are on a touring level and are established at least in the states and we can afford to fund our own records and not rely on somebody. We can hire people to help us, publicists, studios but we don’t need the labels. Chris – I think our independence comes from the fact that we make our living by playing live. We don’t depend on the radio or record sales so we have built up a following in the US that allows us to go and do that and do it how we want. We make the music that we want and have attracted people that happen to like that. We all get along quite well and don’t need anybody else. Also with the type of music that you put out, it is timeless. I know radio is a whole different battle but often they play stuff that will eventually expire – but your music will live on and your fans will always be there because the fans that your type of music attracts is fans for life. Oliver – Exactly! That’s what we want, music fans. Yes and you will have a whole bunch of UK ones after this trip. You said earlier that you recorded songs as you wrote them but did any not make the album or was it case of once we got enough, that was it? Oliver – Well this one we didn’t write a bunch of songs ahead of time, like you said we wrote as we recorded so we ended up with just enough songs. Oliver – Yeah we just stopped when we were done. Jano Rix – Normally I would say when you are making a record you are like “Well, if you want ten songs on the record we will come in with fifteen then narrow it down and record 12. It kind of all happened quite easily this record. As I mentioned earlier, my colleague said you were a brilliant live act, does that come into play when writing music? What will translate well live? Chris Wood – It is sort of hard to not think about that. Oliver – At least subconsciously. We usually play to a thousand people so we ask will they get it? Is this subtle? So we have to think a little bit about that. Jano Rix – I wouldn’t say it limits what we do but it is certainly something that crosses your mind. Often we do a song that when recorded, if it doesn’t translate as well live then we’ll change it, completely re arrange it. We do the same thing with old songs that we have played for quite some time and give them a new arrangement but are still recognisable so that everyone can sing along but it feels different. He also said – as good as the album is, it does not do you enough justice as a live show does. This makes me very excited for your set later. Oliver – There is nothing quite like live music. I agree. That’s why I love festivals too as it gives you the opportunity to see new bands or bands you have never heard of or always wanted to see but haven’t. Oliver – It was nice to see you.